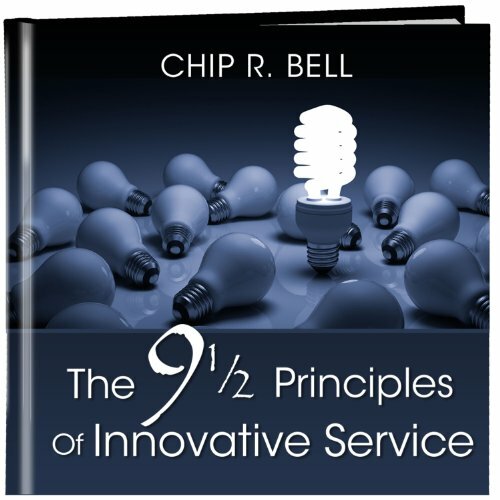 Chip Bell has helped many Fortune 100 companies dramatically enhance their bottom lines and marketplace reputation through innovative customer-centric strategies that address the needs of today’s picky, fickle, vocal and “all about me” customers. Dr. Bell reveals the best practices from the organizations leading the customer loyalty charge, giving audiences powerful cutting-edge ideas and unique strategies they can put into practice. Gail Davis: Our guest today is Dr. Chip Bell. Chips is the founder of the Chip Bell Group and manages their offices near Atlanta, Georgia. Prior to starting a consulting firm in the '80's, he was a director of organizational [00:01:00] development for CNBC which is now Bank of America. He was a highly decorated infantry unit commander in Vietnam with the elite 86 airborne and a guerrilla tactics instructor at the Army Infantry School. 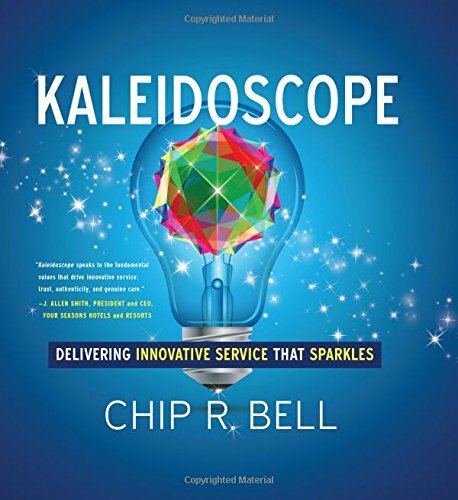 Chip Bell is the author of several best selling books including his latest book which is called "Kaleidoscope" delivering innovative service that sparkles. I'm sure you've seen him on CNN, ABC, CNBC, Fox [00:01:30] Business, Bloomberg TV, his work has been featured in the Wall Street Journal, Fortune, USA Today, Forbes, Entrepreneur Magazine, Fast Company and Business Week. But a little known fact about Chip is that he once opened for the Backstreet Boys. I'm eager to hear more about that so please join me in welcoming Chip to today's episode of GDA Podcast. Chip Bell: Thank you, Gail. I'm honored to be here, thank you. Chip Bell: [00:02:00] I think the operative word is "once". It was a fascinating little story, they were performing at a particular location where I was and the organizer and I knew each other because we've done keynotes together and they were running late. He had an anxious audience, he knew I played and I sang and he knew I liked getting the audience involved. [00:02:30] Like you do at camp where you get "Row, Row, Row Your Boat" done in rounds? Those kinds of things. He said, "If you can open, that'd be great. We can get the audience involved" because I had to play, get them involved and play, not only for about a half hour until they got there but also while they got set up. But it gave me a chance to meet them and it was a lot of fun. Kyle Davis: Very cool. The one thing that I do actually want to talk about that we didn't get the opportunity to talk about but I found through [00:03:00] a slight miscommunication on the scheduling of us is that you have one fantastic voicemail. I just want to say it, that's all. Chip Bell: Kyle, I'll tell you, thank you for that. There is underlying theme behind that and that is related to what I like to talk about and that is; how do you create great customer experiences? And I always like to tell my audience is, "So, what time is Amazon close?" And so, since I'm in the customer service [00:03:30] business I got to be open 24/7. It doesn't mean when I'm in the middle of a keynote people are going to call me but it does mean that I'm accessible all the time. My cell phone's with me constantly and so it's that kind of reminder that today's customers want accessibility. Office hours and all of that just doesn't play well anymore. Kyle Davis: In case people are wondering about accessibility and office hours and why you're talking about it, the end of your voicemail ends with you saying, [00:04:00] "And as always, my office hours are 24/7." And then it goes straight into, "leave a voicemail." Chip Bell: That's right, that's right. Gail Davis: I'm from a small town and we have family friends that own a car dealership and there's a father and all of his sons are in the business. I remember once one of the sons bought one of those signs that you put on the door, "open" on one side and you flip it over and it says "closed". His dad saw it and he says, "What are you doing? If a farmer [00:04:30] pulls up on this lot on Sunday afternoon and he wants to buy a truck, put your phone number up there and get after him." Chip Bell: You bet and as a matter of fact, that's a good story, Gail. I had a similar experience up here at my river house in north Georgia I got in one week and I had a leak, just a drip, drip, drip in one of the bathrooms and it was a busted PVC. You know that piece underneath your sink so I knew I was going to have to replace it, it's an [00:05:00] easy replace. It was late Friday night, I called the local hardware store to hear their voicemail to see what time they open Saturday morning and the owner of the store answered it and I said, "Are you still open?" He said, "Oh, no I'm not open but I call forward the phone to hear from the store to my cell phone because you never know when somebody might have a hardware emergency. Would you like me to meet you at the store?" I said, "No, Saturday's fine." But I was impressed that that accessibility, it's so key. Kyle Davis: Well, [00:05:30] customer service matters. Here's my question for you, for the audience members who maybe aren't familiar with who are you and what you talk about and everything else. If you could, maybe it's not a question it's more of an ask, give us your background as to young Chip Bell to Vietnam army infantry officer to present. What's the story? Chip Bell: That's a great question and [00:06:00] sometimes our lives just happen by accident. I've always been somebody who likes to talk. It amazes me, I get paid today for what got me sent to the principal's office when I was in school. But I'm over the top extroverted and I love people and I've always had a keen interest from graduate school in consumer psychology and what makes people buy, what [00:06:30] creates loyalty and so after I did my time in Corporate America with with CNBC that became Bank of America. In fact, my boss ultimately became CEO of Bank of America. I started my own firm and again specializing helping organizations create cultures that produce long term customer loyalty. I'm all about what builds advocacy. Today, particularly it's uniquely challenging because people [00:07:00] don't talk about good service, it's got to be unique, different, unexpected. The sweet spot, if you will, is what I call innovative service. It's fun to talk about. Kyle Davis: When your talking about creating a culture which then leads to increased customer loyalty or maybe improved employee engagement, where's the base? Where's the fundamentals that people really need to [00:07:30] look at to see if the structure is strong? And from there what can they do to build off of that? Chip Bell: I think what we're seeing, which is a good thing, I think we're seeing organizations become flatter organizations. For me, we used to have challenges with the hierarchal organization where there was a lot of space between the front lie ambassador and the top of the organization. The flattening organization I think is a tremendous asset and what comes [00:08:00] with that is the necessity for organizations to engage their employees by trusting them by resourcing them, if you will, with training and helping and coaching and those kinds of things. So that when they're operating with a customer they think more like an owner and not like a worker bee. More like a firefly, if you will, if you use that metaphor. [00:08:30] We all know that the number one impact on customer relations is employer relations and obviously customers can see right into the heart of your organization through the actions of the front lines. What I work with leaders, when I talk about leaders is; what does it take for great leaders to create an environment today which produces an innovative experience? One that has what I like to call value-nique, [00:09:00] not value added. There's a challenge with value added, the concepts pretty good but if you look at it up close and personal it is how I take what the customer's want and add more, it's kind of linear. Well, pretty soon you run out of room all the while raising the expectations of the customer. I talk about value-nique and that's the element of surprise, that's the element of the unexpected. Doing things that are simple but [00:09:30] ingenious. I like to say there's clearly a limit to generosity but there's no limit to ingenuity. Well, in order to pull that off, in order to make that happen, in order to create that unique and unexpected experience, the surprise if you will on the front line, I've got to have employees who have the authority to be able to do things that are simple and unique but also they love doing it. They enjoy doing it, [00:10:00] they're celebrated for it. Kyle Davis: I'm listening to what your saying and I know exactly what your talking about with regards to business and getting your employees more autonomy because you trust them and it allows them to provide service that's above and beyond. You can call into a complaint line about one thing and the customer service representative on the other side because they have the authority to be able to do more than what they did ten years ago. [00:10:30] Comp shipping, give you free replacement or something like that. Chip Bell: It is, it is. There's an element, there is a tie. I have never thought about it like that, Kyle. That's an interesting concept but [00:11:00] not only that I participate, I command a ranger company in Vietnam but I got to teach guerilla tactics. I also got to spend a lot of time in joint operations and training with the navy SEALS. Part of the whole concept of guerilla tactics, you probably saw the move "The Patriot" which was actually in fact all the way to the Revolutionary war in South Carolina. [00:11:30] The brave soldiers all lined up and they were camouflaged with red uniforms which made them pretty easy targets. Kyle Davis: Oh, the reds gorgeous. Chip Bell: Exactly, reds gorgeous. I don't have any trouble seeing it. The whole concept of what made that story in "The Patriot" swamp box was the general, it was the soldier revolutionary war who's a father of guerilla tactics. The whole element is around surprise and is looking for more creative ways, [00:12:00] if you just look at it in the battle field, more creative ways to achieve a particular mission and surprise was an element of that. The things that make a great service experience, I think today more and more, one that is memorable and one that produces advocacy that is; I can't wait to tell somebody about it. If we go behind and look at what produced that, what made it what I call profoundly remarkable. So profound that I can't wait to remark about it. I think what [00:12:30] is behind that is again, that sense of ingenuity and that element of surprise. And the kind that works the best or those that are simple, they're fit, they're appropriate to what you're doing but they fit. My wife has a new car, she traded in her old car and got a new car and a week after she got her new car she turned on the radio for the first time and discovered that they had programmed in her radio stations from her trade-in. And just let her discover it, now what [00:13:00] do you think she talks about it? The car or the radio? She talks about the radio and Lord I think what she paid for that car. The point is it is looking for those kind of unique things that create that kind of, let me tell you what they did for me. You're not going to believe what happened. There is an element. We love Cracker Jacks, what made Cracker Jacks so cool is not the box. It was a cool box. It wasn't that caramelized molasses flavored popcorn, it was the free prize [00:13:30] inside. Something that was totally financially worthless was economically priceless because we never knew quite what the prize was going to be. How do you build that into the experiences that you create for your customers? Kyle Davis: You know, I'm reminded when you read a lot of Business Leaders they offer up their top 10 or top 15 books that they are a must read for any entrepreneur. Up there on the list of so many of these books by these great leaders is like, "Sunzi [00:14:00] The Art of War," "Machiavelli, "The Prince," and it's always about changing the battle space or coming at it from a different angle and choosing your own opportune time. If you translate that into maybe not a conflict situation but more of a customer centric philosophy, keeping you customer off balance by always providing them with joy and love, then you're doing something amazing. Chip Bell: You absolutely are. [00:14:30] I wouldn't use the war metaphor in terms of what I think of great culture. I think it's closer to an atmosphere that's laced in joy and fun and love as you say but also one that is laced with joy. I love the Zappos philosophy; always add a little weirdness. I think what Tony Shay intended by that is be willing to be different, be willing to be unique. Again, that's [00:15:00] a fundamental principle in innovative service. Kyle Davis: Couldn't agree more on that. Be a little weird, people. Gail Davis: Chip, I think you've written like 21 books, is that right? Chip Bell: Yeah. It's a lot more than I've read, Gail. Gail Davis: That's awesome. Do they all center around customer service? Chip Bell: Yeah, well most of them do. My career started in the training field so I've written books in [00:15:30] that field as well. " Managers as Mentors" I did the third edition with Marshall Goldsmith has been the mentoring area. But there is a tie there because I think what you find characteristic in organizations that deliver renown service is leaders who are mentors. They are always learning and they are always helping their employees do. But they model that. Rosabeth Kanter at Harvard said, "Leaders are more powerful role models when they learn than when they teach." Modeling [00:16:00] that learning environment is a key. I've written a lot but most of the books I have written have been centered around service and the last five or six books I've done have all been around innovative service. 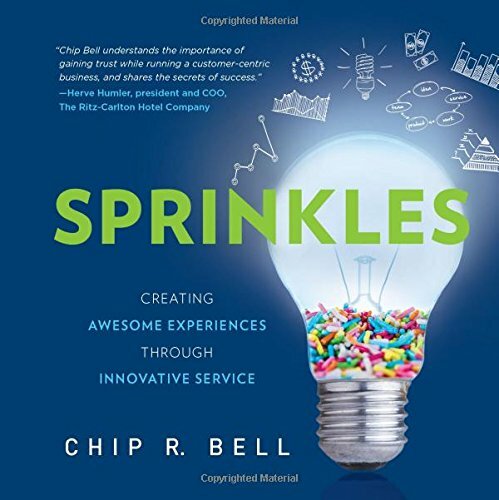 "Take Their Breath Away" and "Sprinkles" and the "9 1/2 Principles of Innovative Service" and "Service Magic" have all had a making it different and unique. Gail Davis: I have to ask you about that one title, I was noticing that earlier. The "9 1/2 Principles..." [00:16:30] what's the half? Chip Bell: You have to read the book, Gail. Chip Bell: Part of the intent of that was to say, "Wonder what that half is?" So people would read it and there is an element, there is a principle of service where you always want to keep your target market a little bit, the unexpected is what matters. To create that sense of attraction. Kyle Davis: [00:17:00] One of the things that has been a real trend line through a lot of the speakers that we talk to on the podcast that are business related is that culture, culture, culture, culture is key. But you hear the same thing; it starts with knowing what you want your culture to be and then modeling it, training it. Then it leads to the culture that you desire. So I'm wondering when you're looking [00:17:30] at today if you want to create a customer centric or a customer loyalty type of culture on your consumer's end, it doesn't just start with training and putting on a happy face. It starts before that, right? Chip Bell: Yes, it does. I think it does. It starts with absolutely knowing your customer and going to school on what matters to them and trying to find ways to get the customer intelligence not only on the customer's current needs and expectations [00:18:00] but what are their hopes and aspirations? What do they wish you could do that nobody's done. If you look at the history of some of our most recent disrupters in the marketplace they were looking beyond what customers needed and expected. So what would they love to have? What would they hope for? If you had the ideal cab ride, what would that cab ride feel like? Well, it'd feel more like a chauffeur. Let's see, now we're [00:18:30] off defining Uber. Fundamentally it starts with knowing what matters to the customer and being able to craft an experience that is your signature distinctive experience but it's grounded in solid customer intelligence. And I'll guarantee you, the location of the most brilliant customer intelligence is on the front line. Sometimes when I work with CEO's I say, "You know, [00:19:00] when was the last time you spent time on the phone in the call center? When was the last time you got the truck and were out in the field with front line people? When was the last time," just being there. You all probably read Tex Bender and I know Tex Bender was a great writer, you probably did a book review on some of his books. But one of his best books, I thought, was "Don't Squat With Your Spurs On" didn't you all read that? Kyle Davis: I am familiar [00:19:30] with the phrase. Chip Bell: He had a great line in that book. It says, "You can pretend to care but you can't pretend to be there." What I think great leaders need to do is be there and be there with your customer intelligence hat on looking for the insights that you can gain from the front line people who see it, hear it, know it, understand it and can often times give you raw data back and you go, "Oh gosh, we didn't know about that." Or, "This looks like an emerging trend, how do we track [00:20:00] this?" I think always included, too many times we reach for sterile surveys as the source of our research when I think you already have, again part of that's a military background. We had maps but we had scouts and we trusted the scouts because sometimes the map was wrong. Kyle Davis: What's the phrase? "If the map doesn't match the terrain, trust the terrain." Chip Bell: Trust the terrain, absolutely. I got a lot of stories about that. Kyle Davis: Maybe we can share [00:20:30] those for another time. Chip Bell: Trust the people over the technology. I walked into an enemy base camp one time with eight people, that's not a pretty sight and it's a scary thought. They were as surprised as we were. But what happened was they had dropped a people [inaudible 00:20:48] which is supposed to detect movement in a particular forest that we were operating and it defected. All the technology had said there's nobody in this area and so we walked [00:21:00] in, "Hello!" Again, I think fundamentally it's the scout on the ground that's going to be much more apt to give us the brilliance and intelligence that we need and sometimes that needs to take priority over the smart technology that we have and paper and pencil surveys, et cetera. Kyle Davis: One of the things that I'm trying to think of an example but I'm sure you could once I mention my thought. To often, sometimes, individuals and leaders get stuck on the [00:21:30] stats and the statistics as to what they're doing and there are so many different ways to manipulate it and receive it and interpret it that then it gives them some misguidance into one direction. Then a couple months, couple weeks, couple years down the road they're scratching their head with what did I get wrong? It's the same thing with not always trusting the technology. Chip Bell: I think it is, very much so. Remember the basis of great customer service is relationship. [00:22:00] While metrics can help us and data is useful. Nevertheless, I ask people, "What are the metrics you use in your marriage?" And people get a funny look on their face. I think underneath that is we need to have metrics obviously and I'm a fan of data. At the end of the day some of the more subjective side, the more emotional side of what we do is [00:22:30] where the truth lies and more than the truth it is where the future lies. We've got to have both but sometimes we forget about or don't pay attention to the more emotional subjective side of the human equation that we call customer service. Kyle Davis: I can tell you this, the future Mrs. Davis will definitely have some KPI's for me and I will constantly be on a [inaudible 00:22:56]. Chip Bell: That is great, that is great. "You [00:23:00] have only taken out the trash 3.4 times this week!" Kyle Davis: "What is wrong with you? We got to talk, we got to-"
Chip Bell: "We need to give you a performance review." Kyle Davis: "Here comes HR." And it's going to be the father-in-law. Gail Davis: I was just thinking about customer service is important for every business regardless of industry. Culture impacts that, it also is so important when you hire employees being [00:23:30] able to assess their aptitude for customer service. Do you have any tips for in the interview process how to identify people that are naturally inclined to be service oriented? Chip Bell: I do, and I think that's a great question. I think it comes by creating simulated situations and say, "How would you handle this? Let me give you a situation that happened to me one time. Da-da-da-da-da-da-da, how would you have handled that?" Or, "why don't we role play? I'm the customer, you're- how [00:24:00] would you handle," and I think it's that more theatrical, you're really trying to cast someone a role in a performance because service is fundamentally a performance. I want to make sure they have the appropriate attitude and philosophy. It's not about the right answer, it's not about the right answer, it's the right attitude. I would always encourage folks when I talk about selection is how do we create a relationship [00:24:30] in the interview process that simulates what they're going to go through when they're dealing with a customer? You learn a lot about a person if you put them in that kind of situation. Kyle Davis: I had a interesting interview process with one of my former employers and we've gone through stage one which means, I think you're cute you think I'm cute. So then we go to round two which is a date, so it's tell me about yourself. So round three was how do you perform? [00:25:00] So I knew that I had to give a pitch about their product and they gave me a slide deck and a couple of days to prepare and I know it was going to be X amount of minutes long. So I went in there and I got started and I knew the two people across the table from me and the roles that they were playing. What was interesting about it was that somewhere in the midst of that one of the other employees for the company walked in and played the role of somebody I wasn't expecting to be there and it changed the entire dynamic in the room but they [00:25:30] were constantly reviewing and seeing how I was interacting with it. And I thought from there it was one of the more brilliant ways to interview a sales person. How do you swim in a dynamic river? Chip Bell: Exactly. It's paying attention to reactions of the unexpected or paying attention to the ones that don't think they're being observed. How does that applicant deal with the receptionist? That can often be very [00:26:00] telling about what it's going to be like. I like the principal that Southwest Airlines does where they get several people who are going to be in the same role for which they're being interviewed and gets them a chance to ask those kinds of tough questions. Because if you can't get along with your future potential teammates, you may be the best applicant in the world, it's not going to play well in the work environment. Chip Bell: I think that's a great question. I'll answer it in two ways. One is; what do I do if I'm dealing with a very difficult, challenging customer? And I think the more we assume innocence and the more we come from a space of compassion and care. I always remind people that anger is not a primary behavior, it's a secondary behavior. Underneath that anger is fear and if I change [00:27:30] the frame to say I'm dealing with a fearful customer then the approach that I might take would be one of empathy and humility rather than defensiveness. That's the first side. But I do know, also, there are times in which you got customers that their mamma's didn't do a great job raising them. Because they didn't get properly weaned they're the kind of folks you might not want to have as your customer. I think it's appropriate to fire customers. I watched Bill Marriott [00:28:00] kick a guest out of the hotel, it was the JW Marriott in Washington, D.C. and he was in the lobby. I was working with Marriott at the time and I didn't realize he was there and all of the sudden he came across the lobby. What was going on is the guest was absolutely treating the front desk clerk horribly, cruelly and using extreme profanity and he walked up and said, "You will leave this hotel immediately." [00:28:30] And the guy said, "Who the hell are you?" And he said, "My name's on the front door and if you don't leave we get to call security and remove you." Well, I was impressed. That there is a time in which customer's cross the line and you go, "You know, I don't think you're going to fit here." There are times in which I think it's the right thing to do to fire the customer. Gail Davis: I do love the point you made about assuming innocence and understanding a maybe underlying fear. I think that's really good. I like that. Chip Bell: [00:29:00] Yeah, thank you. Kyle Davis: One of the things I'm reminded of with that, too is especially in longer duration sales cycles if we're talking about customers like that is that a lot of these touch points if they're a little angry and on edge. The first call, second call it's fine but if the trend, like you said, gears towards daddy not being there in their life. Then it's okay to fire them and one of the quotes that one of [00:29:30] my mentors said is, "Man, you got to learn when to fire your customer. You got to be able to label them with what they are sometimes and you got some guys who just like to shop around and kick tires and they're just time wasters. You got to figure it out." One of the things too that we were just talking about a few minutes ago is that all these giant brands, I want to go back to this but it's these disrupters and figuring out where they're doing. What I want to circle back to is [00:30:00] what happens if a company's an established, they've been around for a while but they want to take it to the next level. They want to be a disruptor in their space and they want to do things right and they want to pivot. What can they do? Chip Bell: Here again, the smart thing about how do you pivot is go back to your core purpose. Sometimes organizations are intrigued by we're going to pivot and going to be here because that looks like it's cool and [00:30:30] that looks unique and that looks different. I always remind, mind senior leaders, who are you? And you who do you want to be? And does that fit with your core values? Does that fit with your cause and purpose of why you exist? Because if it doesn't then you're going to have a major challenge bending your culture to fit what you're new shiny object is going to be. I think [00:31:00] it starts there. And here again, as I will repeat; Peter Trucker said, "The purpose of an organization is to create and retain a customer. Is what you're looking at as this new thing, the new idea that I'm going to disrupt, be disruptive in the marketplace, is that really going to achieve you're goal of trying to create and then ultimately retain customers?" I think there's a whole series of tests that I would say [00:31:30] that you need to check before you say, "Hot dang, this looks like exciting, let's go there." We can site all kinds of examples where mergers and acquisitions that occurred that didn't fit and they come apart. And they come apart because it was out of sync with somebody's core mission. So I'd start there or core values. Either one, I think I'd start there. Kyle Davis: Yeah, what's the [00:32:00] phrase I'm looking at? "Bigger, better, shiny syndrome?" Chip Bell: Yep, exactly. Sometimes it's the right thing. Sometimes it's the right thing. You're looking at, I've done most of my work in the retail industry and you're looking at organizations that are now struggling with I've been a brick and mortar and I know how to do brick and mortar, I know how to do brick and mortar well. Now I've got to go to a different kind of platform and channels for my customers. [00:32:30] How do I make this transition so I'm not just a brick and mortar? We're seeing the demise of some of the big boxes because they should have been making this pivot a while back. But all of the sudden now many of them are caught behind the curve and the disruptive process to the culture may be such that they aren't able to make that change fast enough to survive. Kyle Davis: [00:33:00] Yeah, it's interesting. Change is something that should be done at the pace with which the organization can handle but at the same point in time not being observant forward thinking can be a hindrance or being blinded by what's so blatantly obvious in front of you can be a real problem as well. Chip Bell: You got it, you got it. Chip Bell: Well, it's been fun. Kyle Davis: It has been fun. If you guys want to book Chip you can do so by contacting [00:33:30] GDASpeakers at 214-420-1999. If you'd like to read the transcript for today's podcast, wait, I forgot; GDASpeakers.com. There you go. Now, if you'd like to read today's transcript for today's podcast you can do so by going to GDAPodcast.com where we will also have a multitude of Chip's books available for purchase via Amazon. With that being said, thank you Chip. Gail Davis: Thanks, Chip. It was great. Chip Bell: Thank, Kyle. Thanks, Gail. Enjoyed being with you, this has been great. Gail Davis: [00:34:00] Thank you.